Pictured are Dulio Claudio and Donach Tierney of Airbus Group presenting at the Enterprise Ireland Aerospace Conference held earlier this week at East Point, which members of the Mann Engineering Management Team attended. Amongst other speakers at the Conference were Ciara Kennedy, General Manager, Supply Chain & Logistics at Bomabardier Belfast, Stephen Cowan, SVP Operations, GKN Aerospace Aerostructures Europe, Ann Barnett, Purchasing Manager, Rockwell Collins as well as Holger Zeller who gave a presentation on opportunities in the German Aerospace Market. The large attendance was also addressed by Chairman of the Emerald Aero Group (EAG) Mr Gerry Reynolds, Managing Director of Takumi Precision. Mann Engineering is one of the founding members of this new cluster of Engineering companies that have pooled together to create an Irish Aerospace solutions company. 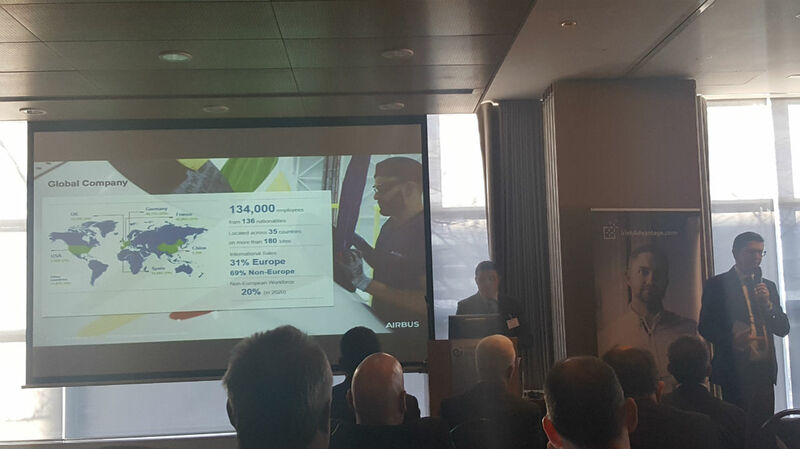 Fourteen companies have already come together to form this Aerospace Cluster, the first of its kind in Ireland. Between the fourteen companies we can offer all types of CNC Machining, Surface Treatments, Fabrication, Composites, Injection Moulding, Thermoforming and 3d Printing, making EAG a one stop shop for our Aerospace clients.